The Blackburn Rovers centre-back debuted for the All Whites eleven years ago, but no achievement in his long career has come close to last November’s play-off victory over Bahrain and qualification for South Africa 2010. 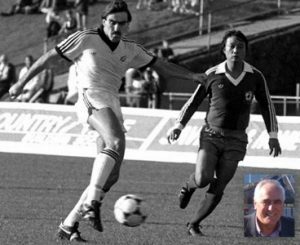 By far the highest-profile member of the All Whites squad, Nelsen is an inspirational figure for the national team and now follows in the footsteps of Steve Sumner, who donned the captain’s armband at Spain 1982. Injury prevented the Christchurch native from appearing at the 2009 FIFA Confederations Cup, where his organisational skills in defence were sorely missed, but now Nelsen has the opportunity to make his mark in South Africa. And a creditable performance in a last-gasp defeat against Australia last week, combined with victory over Serbia on the weekend, suggests the Kiwis have reason for optimism. FIFA.com chatted exclusively with the New Zealand skipper as the team prepares to create their own slice of history. FIFA.com: The team preparations seem to have been going very well, with that unlucky last-minute defeat against Australia and a win against Serbia. Ryan Nelsen: The result (against Serbia) wasn’t too bad but it was good to get a good 90 minutes under our belts. We had a disappointing result against Australia and we probably would have won it with good preparation, but it’s just great to have a good run. With those two matches behind you, how are the preparations coming together as South Africa 2010 approaches? It was only this group of players who knew we were a decent team. Unfortunately now, with the results against Australia and Serbia, other teams are starting to realise that. We were hoping to fly under the radar a bit. Now teams will probably take us more seriously. We will keep going about our business. We are doing well but we have a lot of work to do before we get to South Africa. You have had some injury concerns in recent times, missing some matches for Blackburn and also the 2009 FIFA Confederations Cup. How is the body feeling after a long English season? I feel pretty good. I had a break of about five weeks when I injured my knee. I still played 30 to 35 games during the English season so it was one of those ones that is a blessing in disguise in the context of the World Cup schedule. How do you find the leadership role with the national team, especially given you play in the English Premier League, while not all of the New Zealand squad are full-time professionals? Everybody is pretty experienced in their own right. This team pretty much has 18 or so players that have been around the block a few times and know what is required. We only have two or three players that are semi-pro but they are young and learning and good, and it’s only a matter of time before they become professional. Probably if they were playing in other countries they would be professional, it’s just that they don’t get as many opportunities to be noticed. So we have some good experience in the team and really I don’t have to do that much. You’re only the second man to lead New Zealand at a FIFA World Cup. How does that feel? It’s an incredible feeling. At the moment we have a job to do, so it’s more stress and excitement because we want to do well. When I look back, maybe when I’m old and grey and with a walking stick, I might then look back and say ‘that was pretty unbelievable’. How has the team improved over the course of the many years that you have been involved in the national team set-up? This is by far the best team I have ever been involved in. We have players playing at a high level. Our four strikers are all playing at a really good level or have done well in their respective competition. We have experience at the back, we have keepers that are experienced and guys like Simon Elliot that have been around forever as well. We have a really nice balance around the squad now and we have a bit more depth as well. How does the attention given to football in New Zealand leading up to South Africa compare to what you’re used to, and how good has that been for the game domestically? It’s been fantastic for the game. It is not what we are used to in New Zealand, but in the few days we had at home before we left the whole country was really positive and really behind us. It is unprecedented compared to what we are used to. We are now riding a nice little wave with a couple of good results and the country believes that we are a decent team and can be really competitive so it’s really exciting. 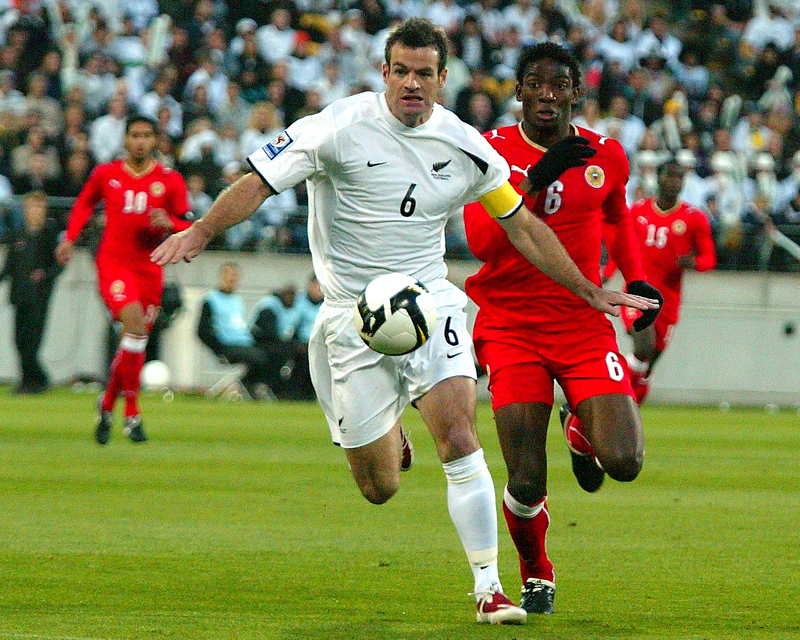 What benefits are you expecting in New Zealand football as a spin-off from South Africa 2010? More players playing, more interest in the game, more media, more public attention and more exposure. It’s a very athletic country but some fantastic players fall away at the younger age groups because there is not always the infrastructure in place, so that hopefully that will be sorted out and in the long run will benefit the national team.